Published March 24, 2014 at 640 × 449 in Landscapes and Seascapes. 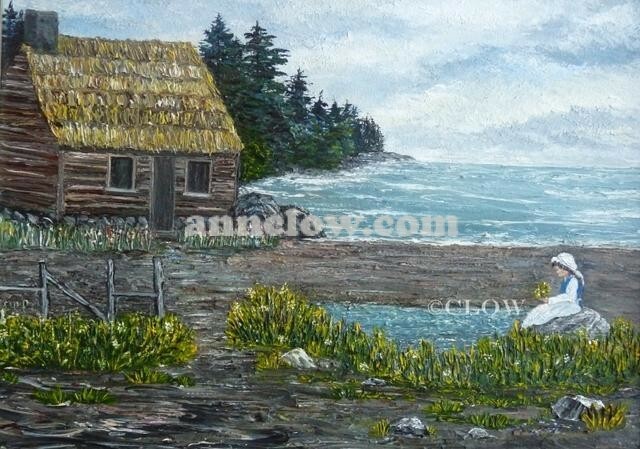 Acadian Girl 16x20 During the 1700's the French Acadian people inhabited Nova Scotia and once in awhile had some spare time or relaxing and reflection. Simple homes with thatched roofs were common.